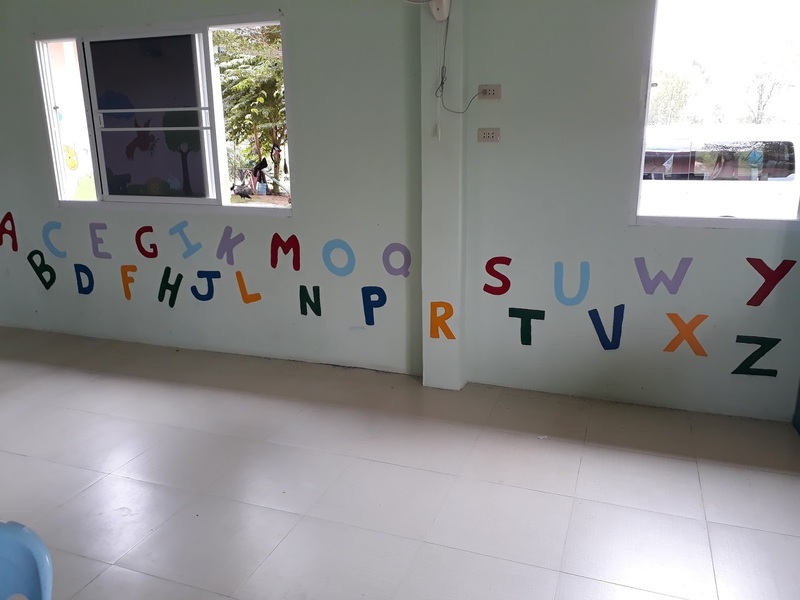 The schools here are having a two week break after finishing the first semester. 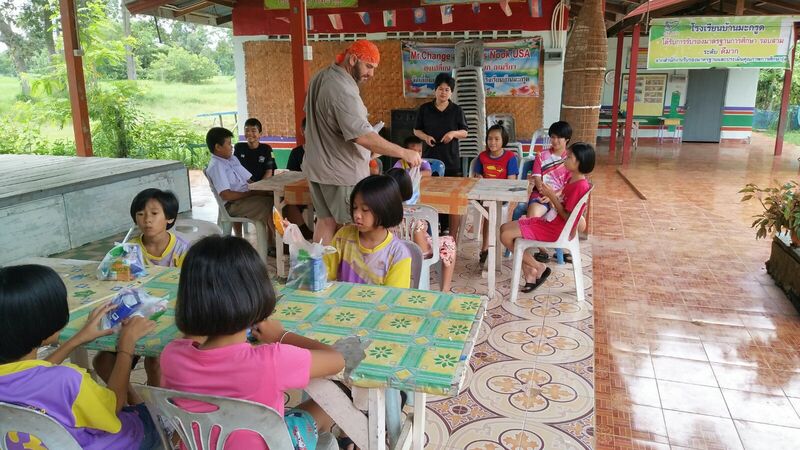 We quickly popped into Makrud School and treated the kids with some sweet treats. Many children are going to visit some family members in different provinces and some stay home. 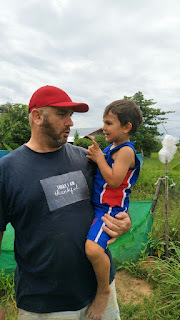 We love Makrud School and are looking forward to carry on with our involvement and participation at the school. 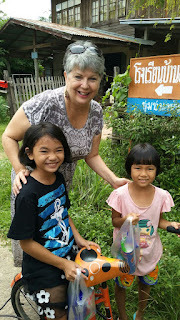 Going around the village and looking for some of our children who were on holiday already. This is Moy. 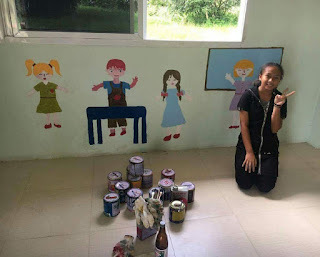 She is now 5 years old and one of our "adopted' children from Ban Makrud. 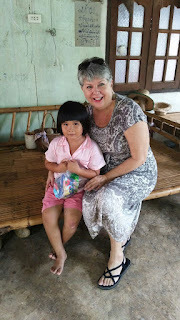 One can say that she is the principal of the school and a real leader. 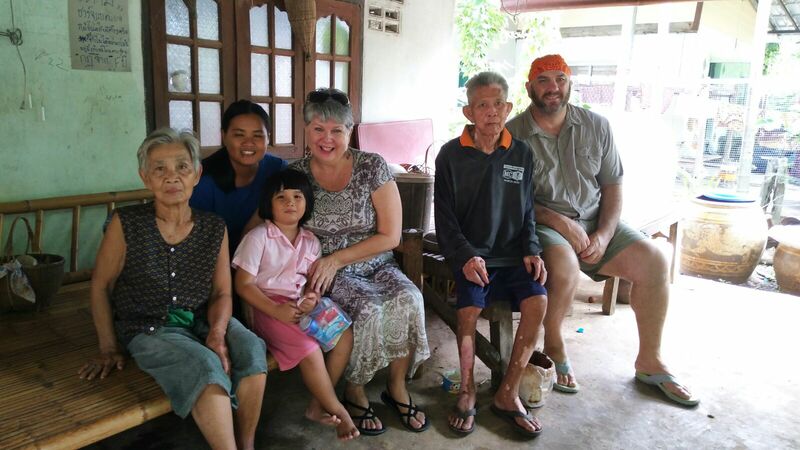 Here she is with her mother and grand parents. We truly believe that Moy are gifted for she learns must faster than the other kids her age. 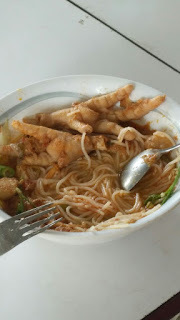 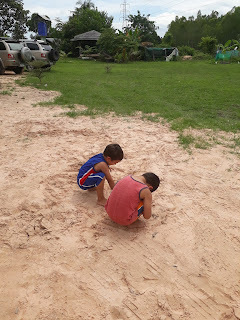 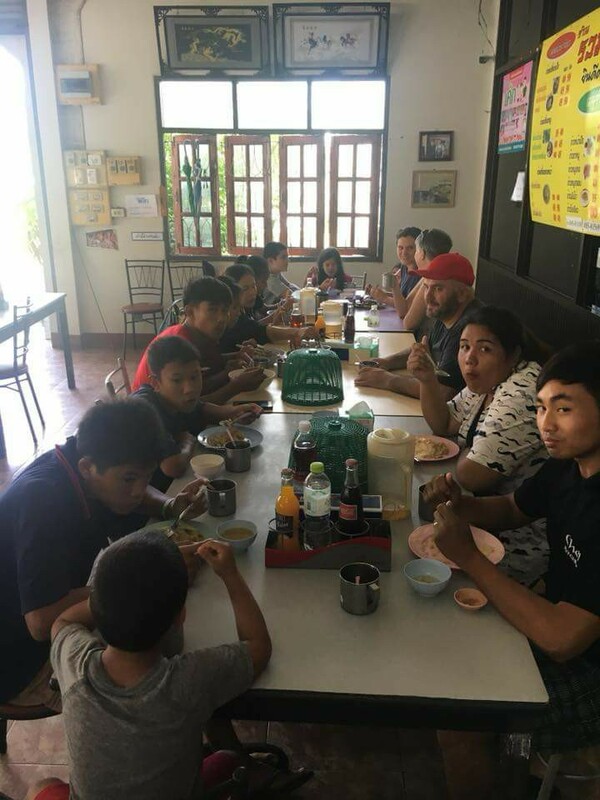 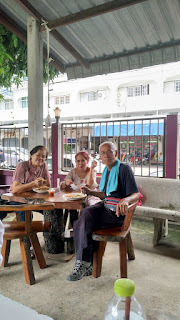 We are looking forward in spending more time with Moy in the future and also to help the family with basic needs to their day to day living. 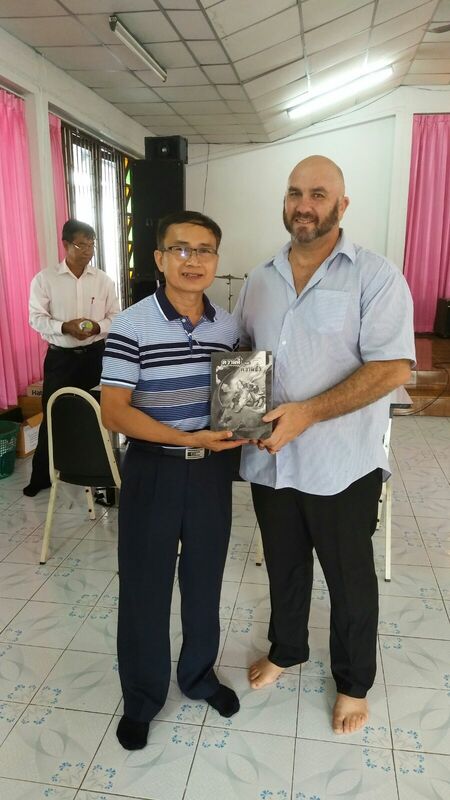 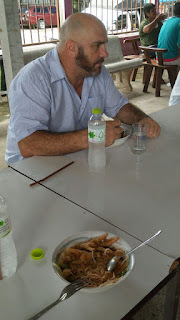 Sunday service at Gospel Christian Church in Sisaket was truly a blessed day. 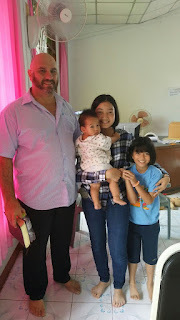 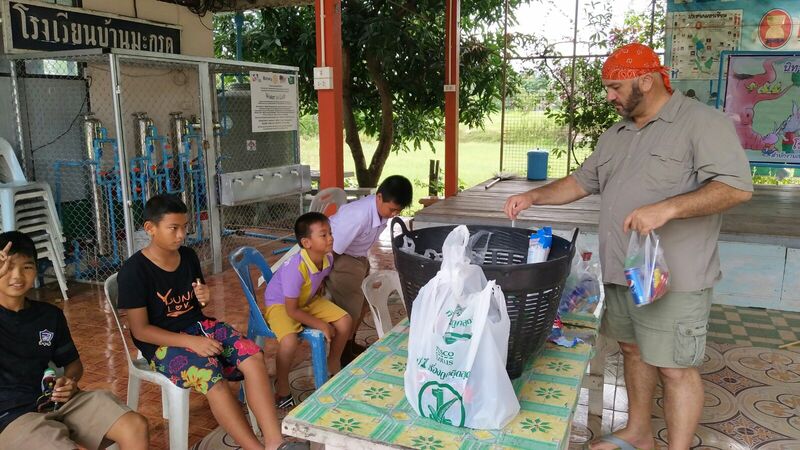 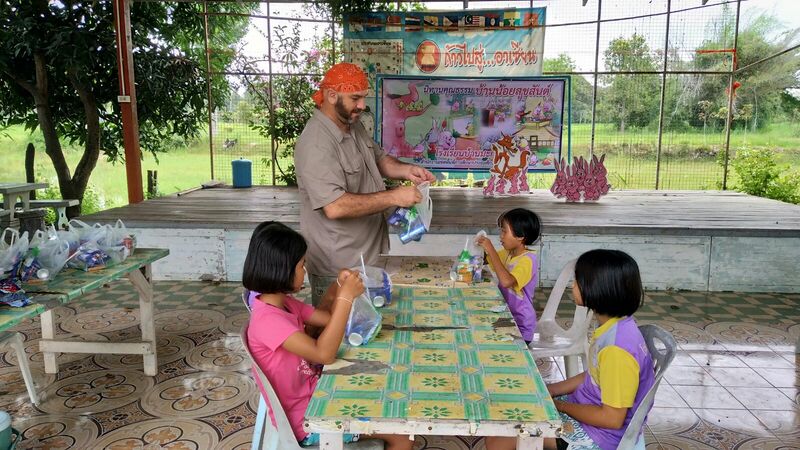 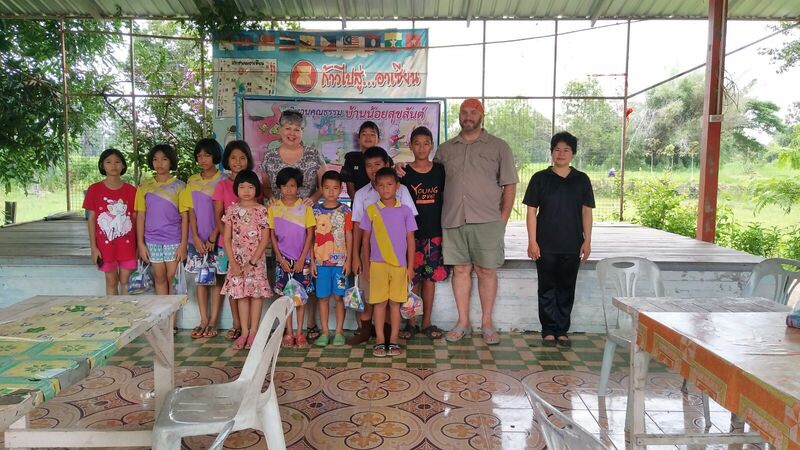 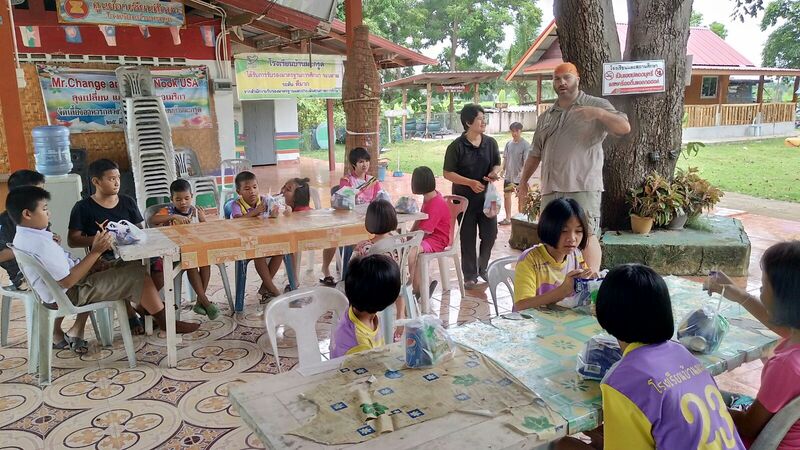 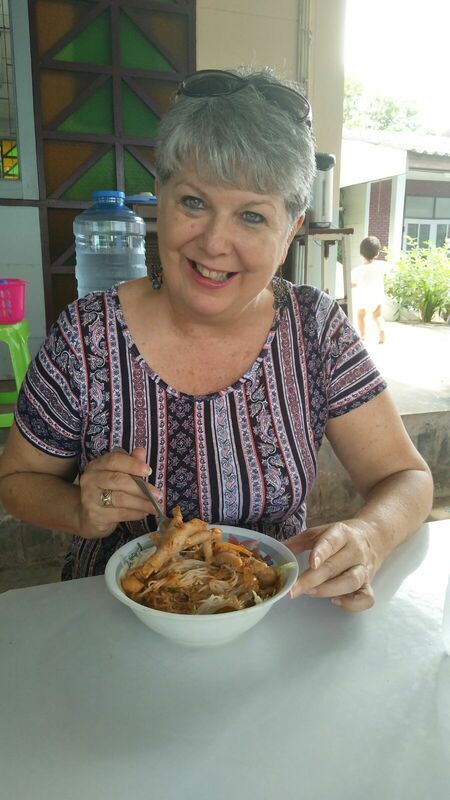 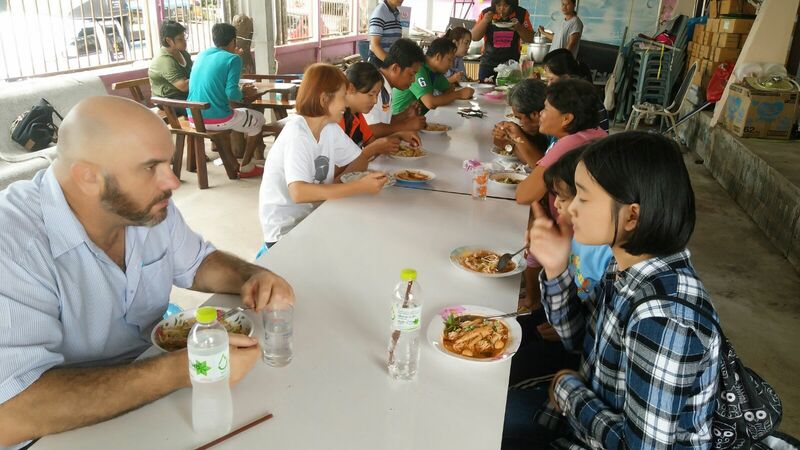 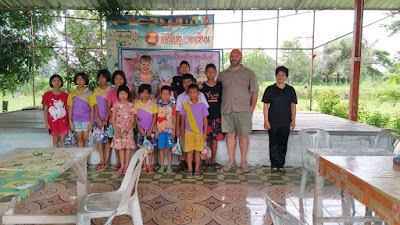 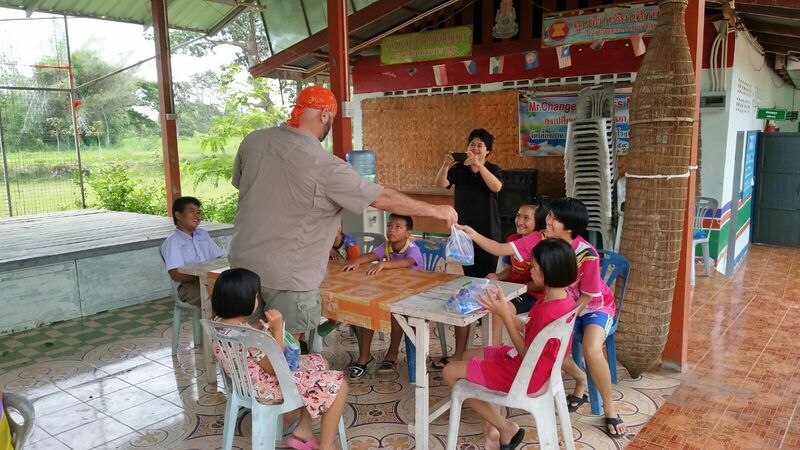 We love our "other" family from Gospel Christian Church here in Sisaket. 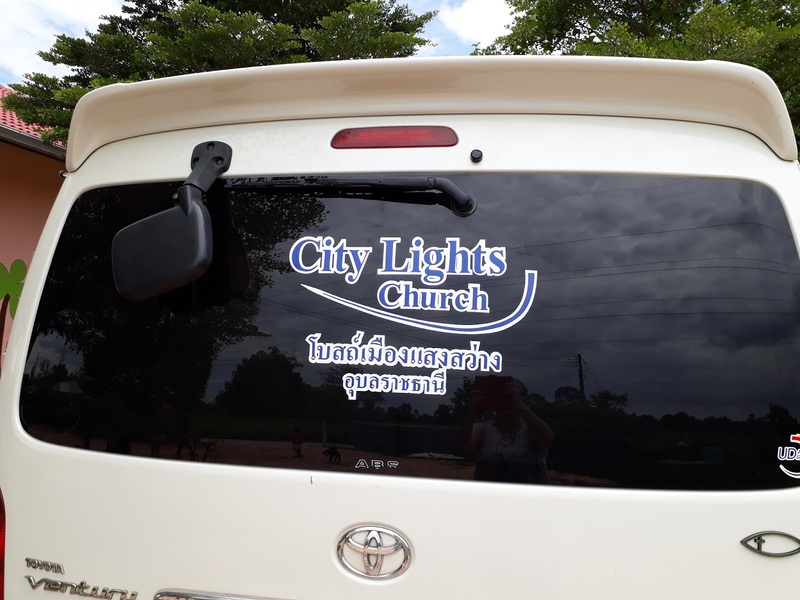 Many churches here in Thailand, especially in the Isaan, the church has Bible Study for a hour or so before Praise and Worship starts. 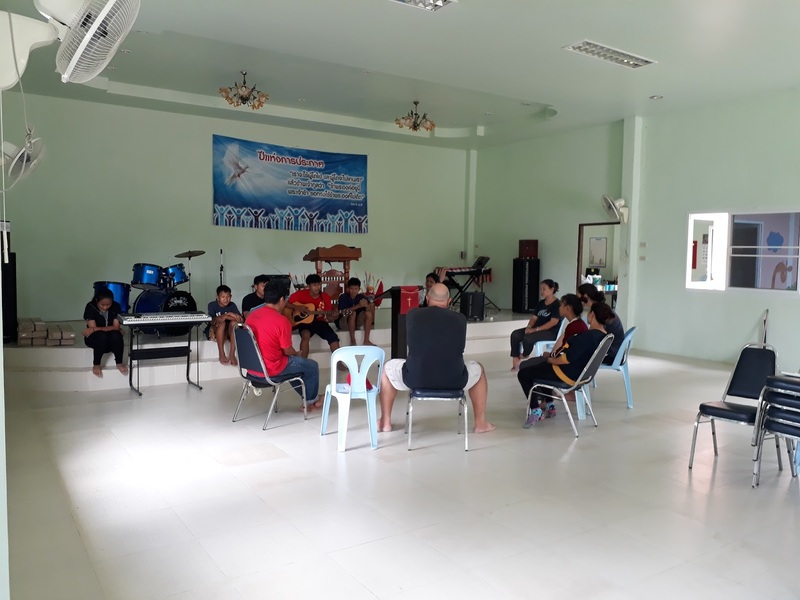 It is wonderful to see how "all the church members, young and old" participate in the Bible study sessions. 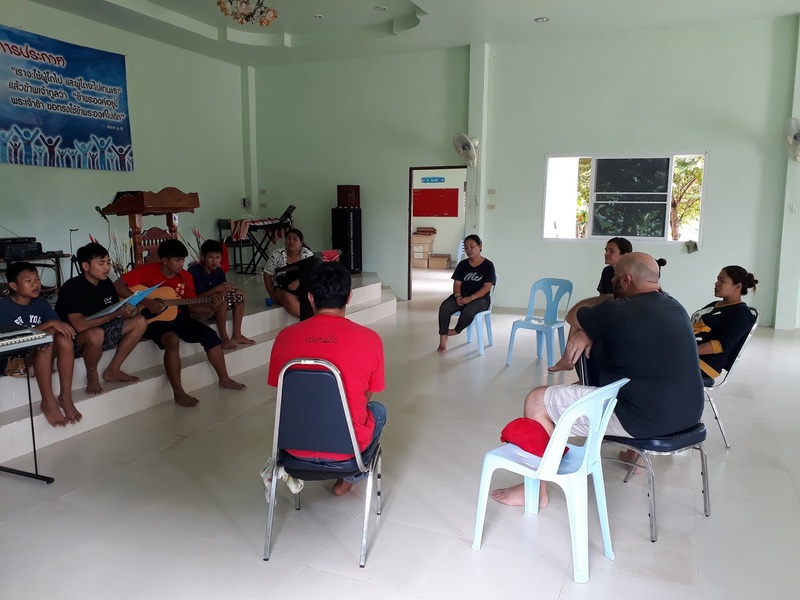 The members are hungry to learn more and more from God and take all opportunities to join in on Bible studies. 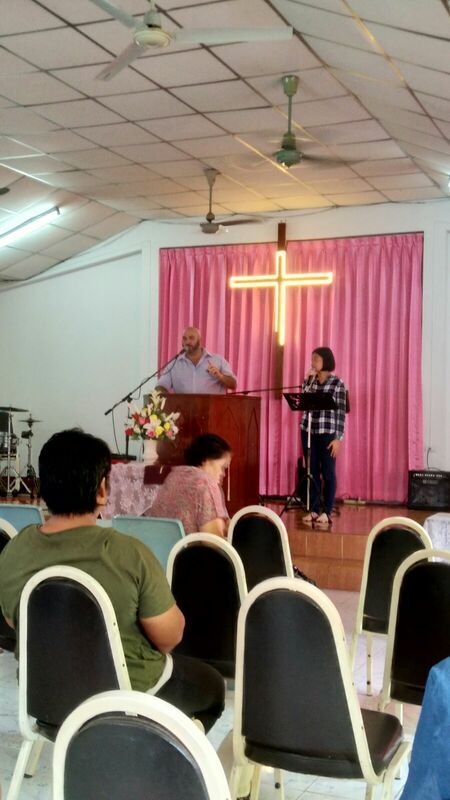 There is always time to share some testimony. 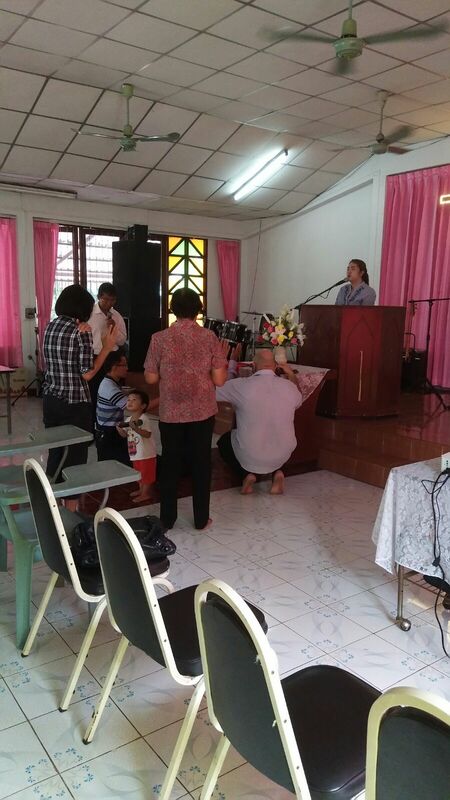 One of our brothers are going to Singapore for a work project and not just a few, but ALL the Church members stood up and prayed for him. Jeddy (middle photo) and her father Nong (photo on the right) are so passionate in serving the Lord. 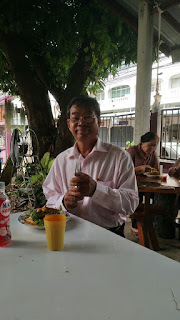 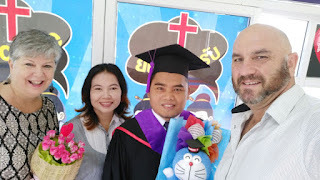 Nong is a physics teacher and evangelizes in his school every day. 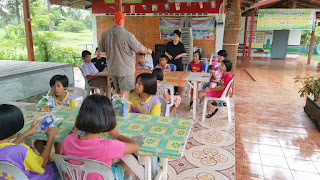 Every class his has, he always prays for the children while they listen to his prayers before class. 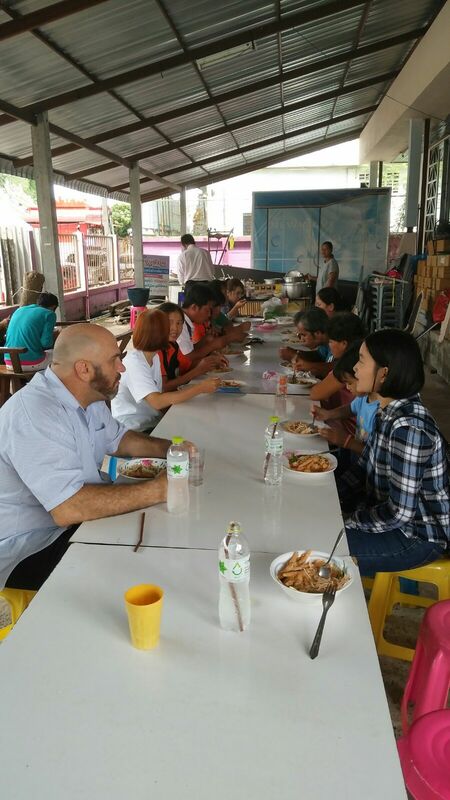 It is goose bumps stuff when he starts talking about the conversations the students from school has with him. 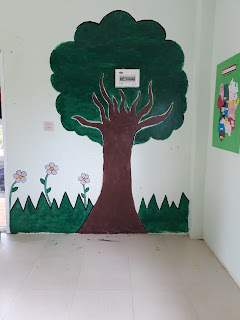 Plant the seeds and God will let grow. 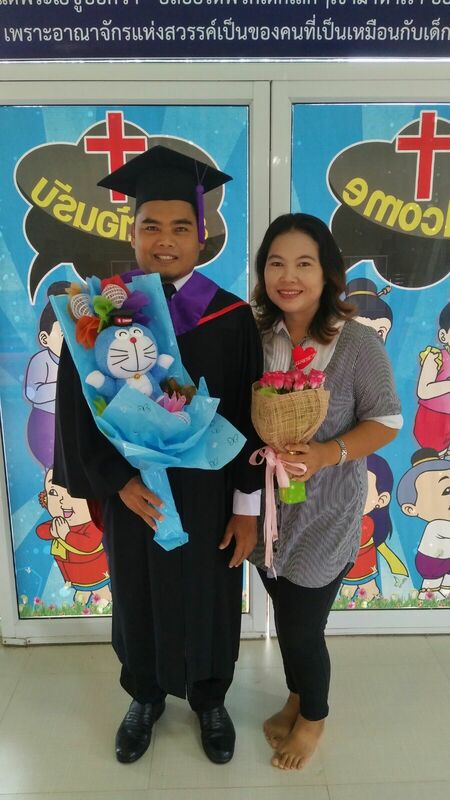 What a PROUD day it is. 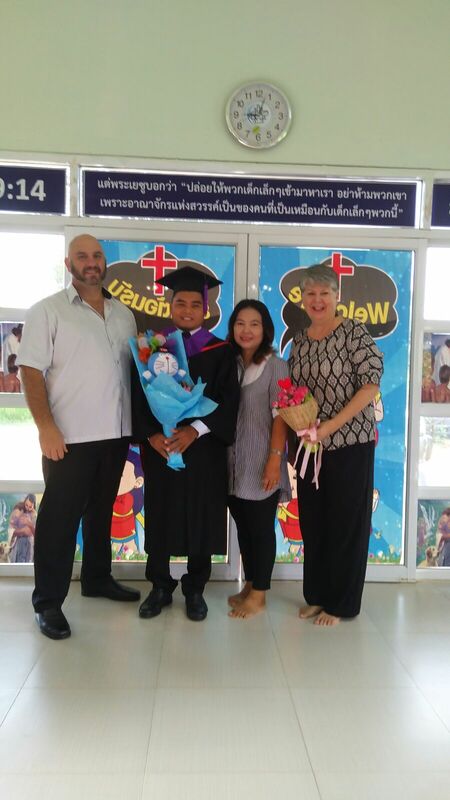 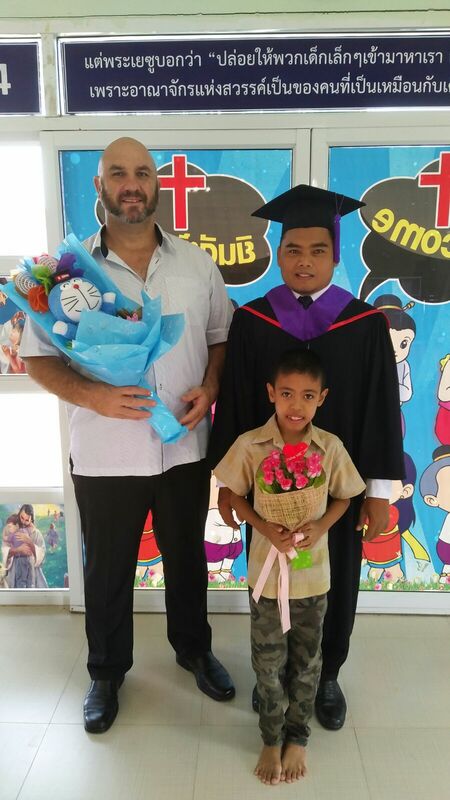 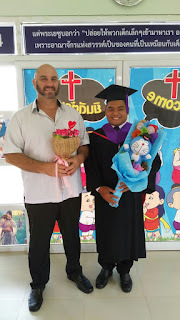 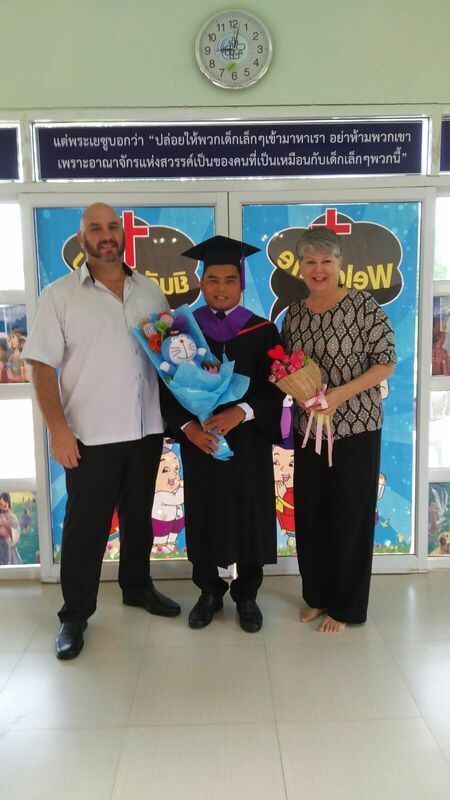 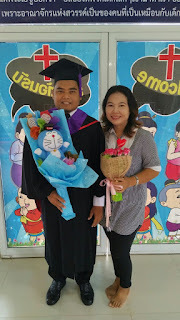 We are so proud of Tabisak for finishing his Theology Studies. 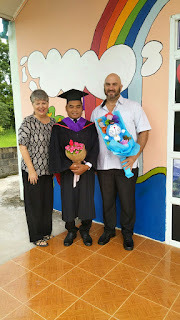 By the book, Tabisak is now officially a Pastor. 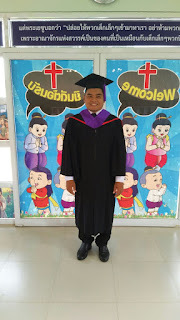 We still remember when we got to Kanthararom four years ago, he was already studying to become a Pastor. Obedience, hard work and dedication saw him through . 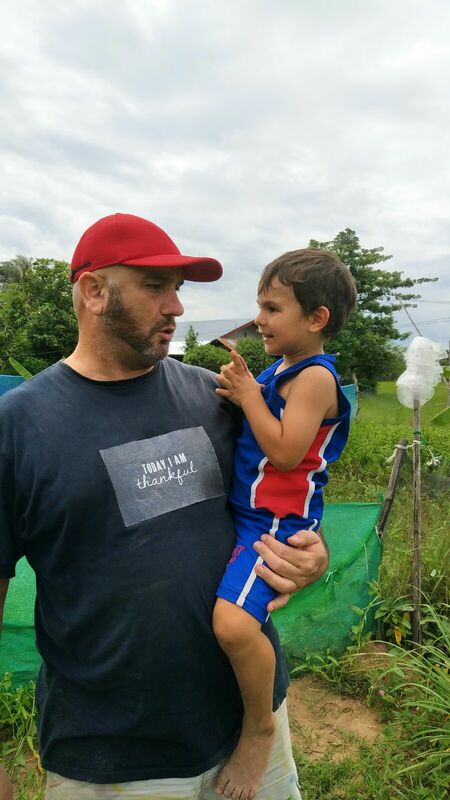 . . and believe us, there were some tough times Tabisak and his family went through. We are honored to share this moment with Tabisak to you all. 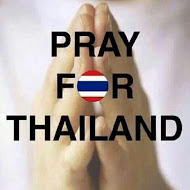 God is indeed raising His children up and Tabisak, his wife Kung and two sons are truly a inspiration to many off us. We are proud to have Tabisak as the Pastor of our church here in Kanthararom. 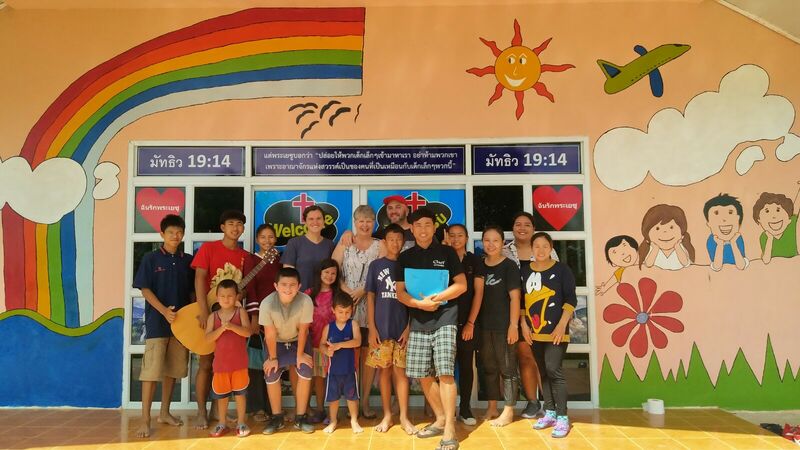 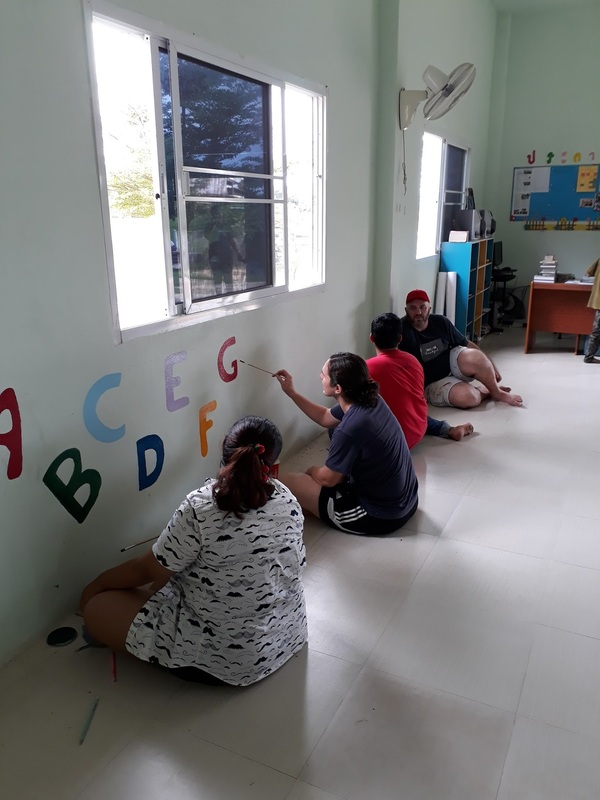 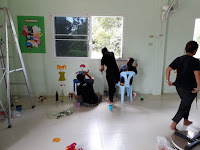 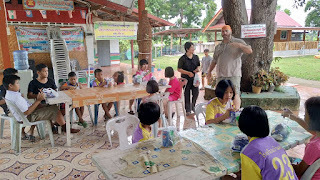 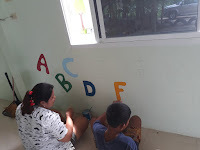 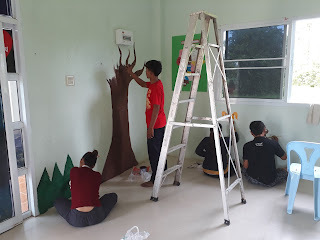 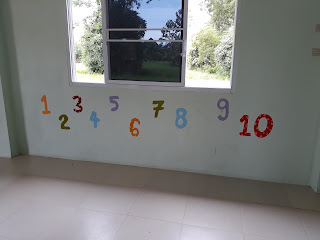 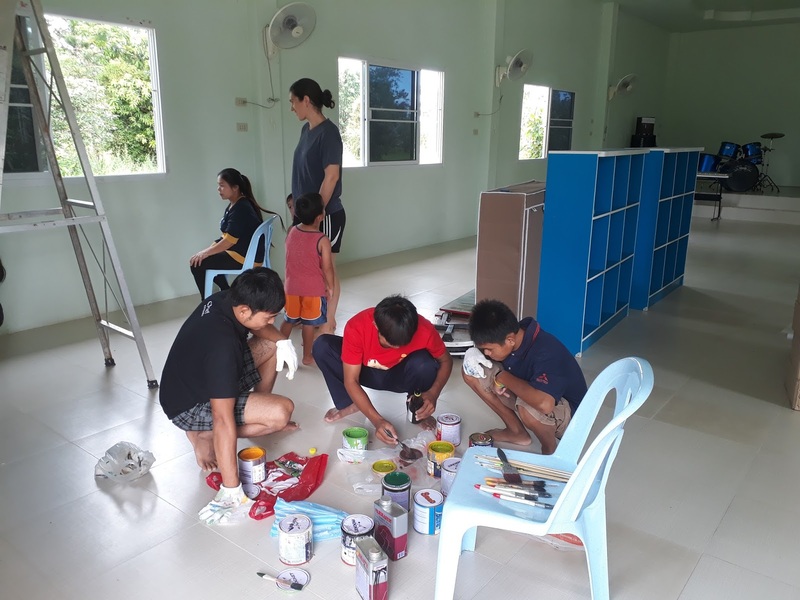 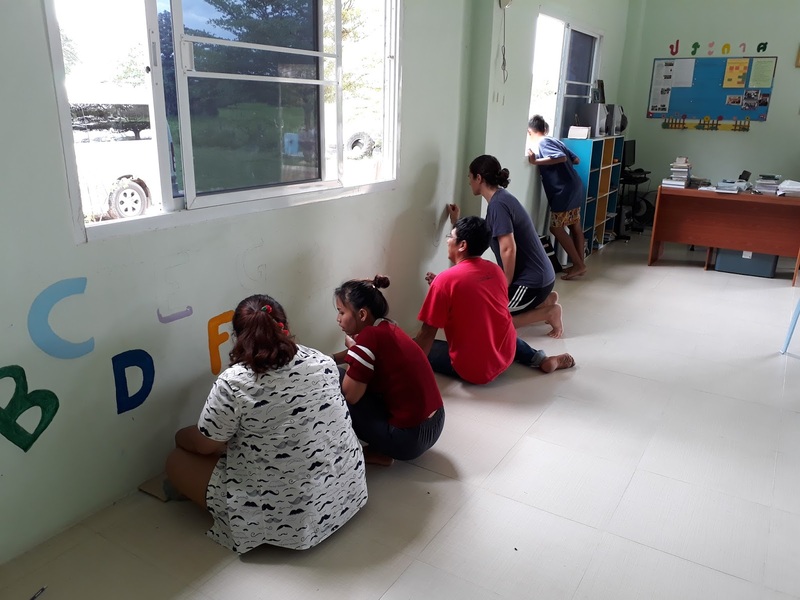 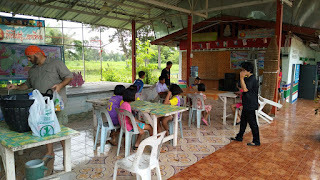 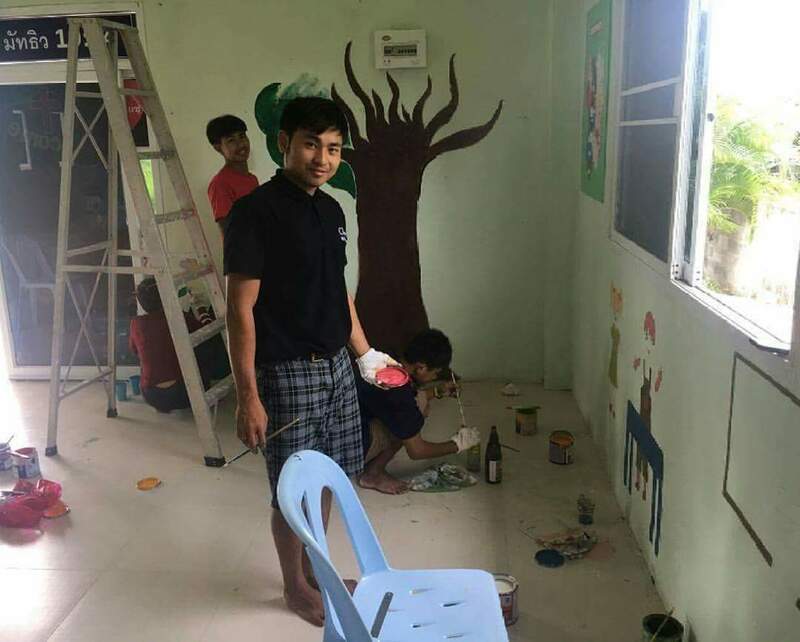 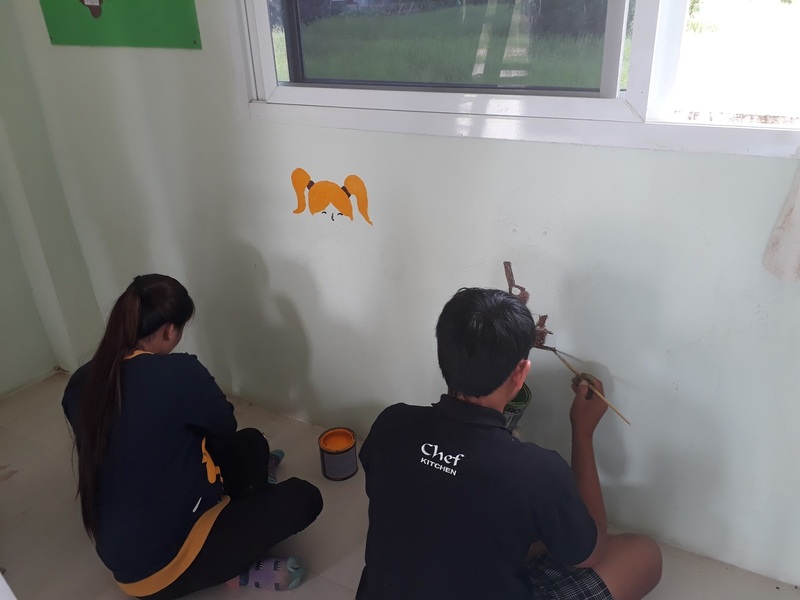 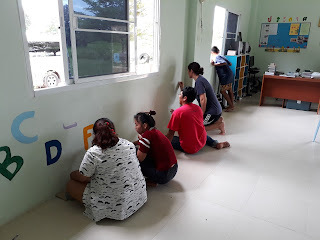 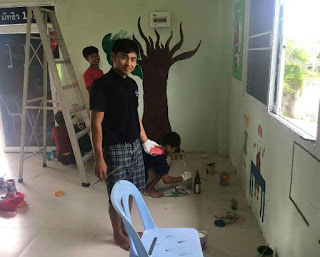 We had the privilege in having the youth of City Lights Church from Ubon Ratchathani helping us with some painting that needs to be done for our Kindergarten School. It was an awesome day of fellowship and sharing stories while everyone was at work. 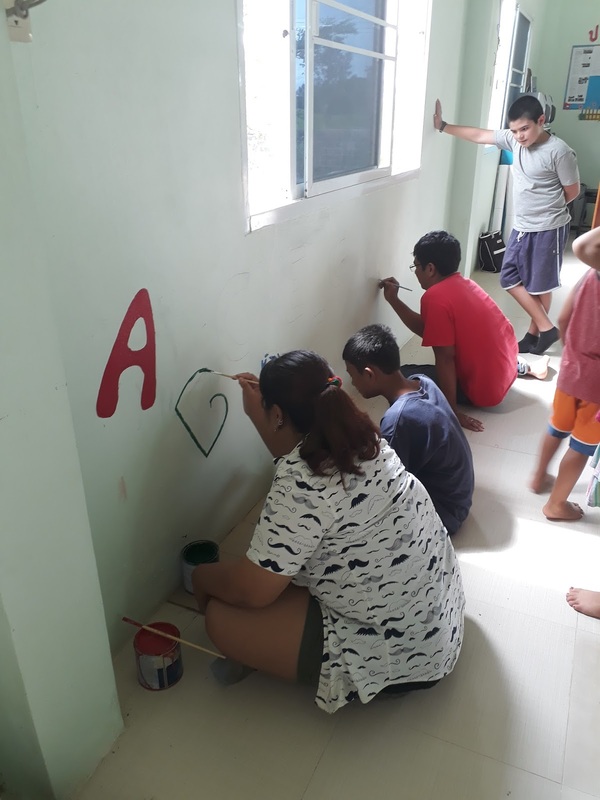 These teenagers are so inspiring and they just warmed our hearts with the passion they have to serve God in all areas of their life. We will partner again with them in the future and we know that this was the first gathering of a long standing relationship between City Lights Church and Frontida Outreach. 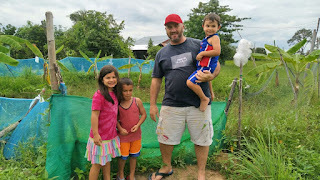 Nacho and Marrilee Barrera (leaders of City Light Church) have four children. 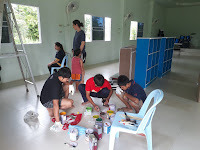 Being grandparents ourselves, we had so much fun playing with them when the youth of City Lights Church came to paint at our church. 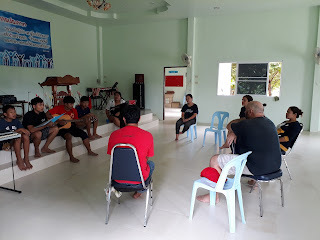 Nothing better to close a day of work with some praise and worshiping together. These kids are musicians that taught each other between themselves on playing various music instruments. They also form as the worshiping team for the church.
. . . and then we all enjoyed a wonderful lunch together.